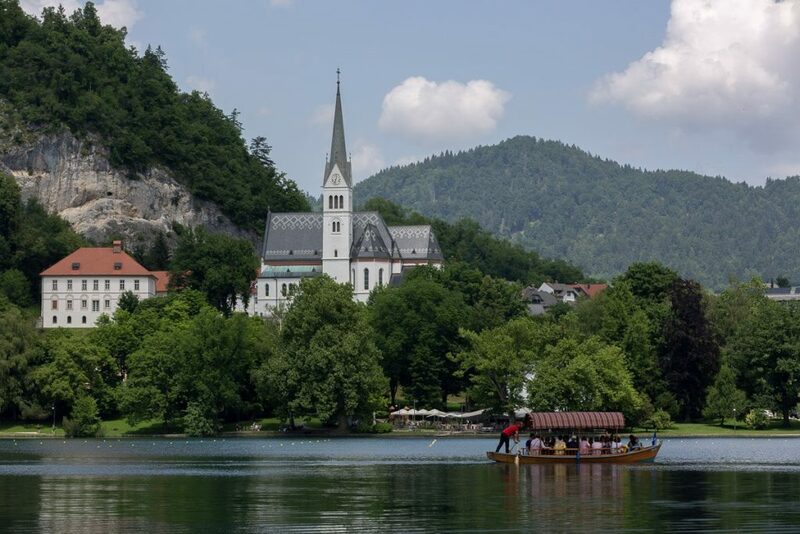 A magnificent parish church of St. Martin, located above the lake shore, attracts many couples from all over the world. Because of the amazing paintings, the inside is simply spectacular. Due to the Neo-Gothic architecture, the ceiling and windows are high, what makes the church bright and optimistic. The atmosphere in the church is peaceful and tranquil. This makes the wedding truly wonderful, experienced, touching the bottom of the soul of all who attends. Located under the castle rock, St. Martin church is very easy to access. There are no steps and the entrance can be reached by car. The church is large and bright. There are enough seats for all the guests even if the wedding is big. 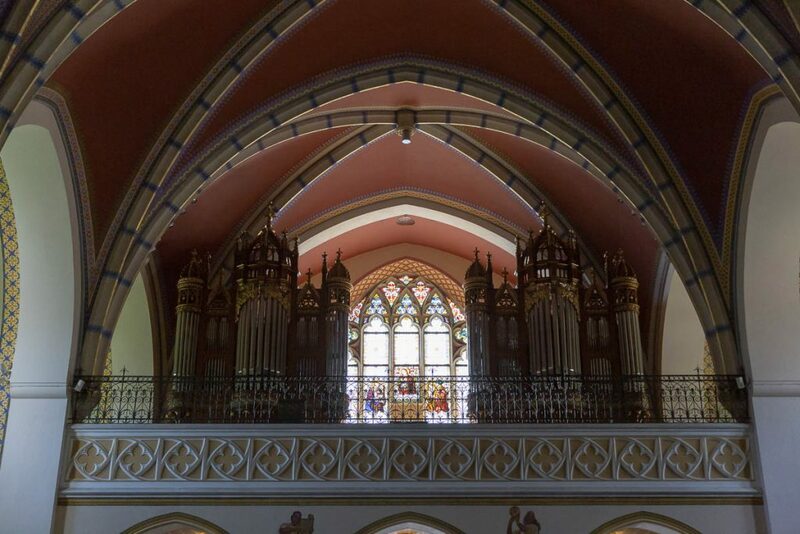 Neo-Gothic architecture makes the church extremely acoustic. 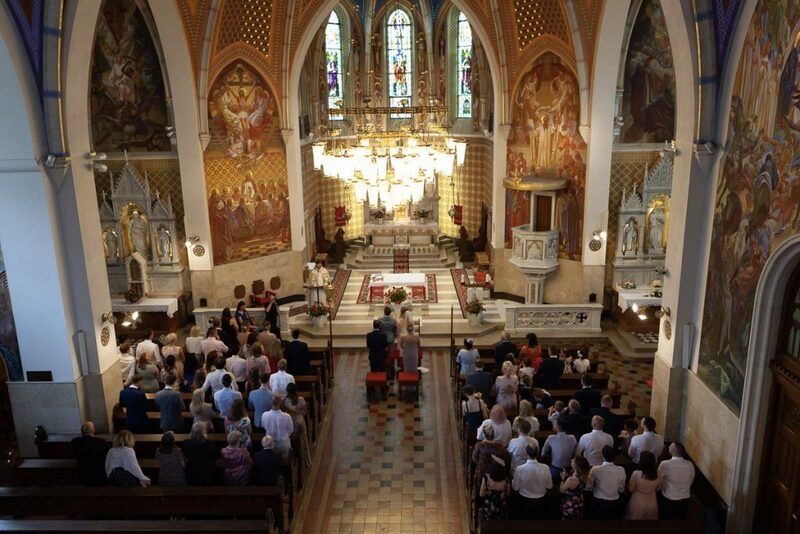 The recently renovated organ, in the hands of a professional player, produces magical sounds which emphasize the spiritual dimension of the wedding.